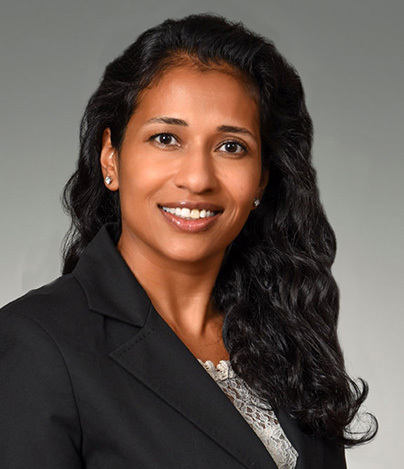 Dr. Dipika Patel joined Cincinnati Foot & Ankle Care in 2005 after completing her podiatric residency at the Jesse Brown VA Medical Center in Chicago. In addition, she received advanced training in Germany and England in limb salvage and diabetic foot reconstruction with external fixation. Dr. Patel also has extensive experience in all types of foot and ankle surgery, including ankle fractures and arthroscopic foot and ankle procedures. Other areas of interest include foot and ankle conditions and injuries in children, diabetic wound care and preventive foot care, forefoot conditions such as bunions and hammer toes, athletes and weekend warriors, and skin and nail conditions. In the community, Dr. Patel volunteers with the Mercy Care Clinic for uninsured patients, as well as with several running and charity organizations. A native of Gujrat, India, Dr. Patel is fluent in Hindi and Gujarati. She and her husband, Ash, have two beautiful children, Ria and Neel. In her spare time, Dr. Patel enjoys cooking, wood working, clay modeling, painting, weight lifting, hiking, and canoeing.